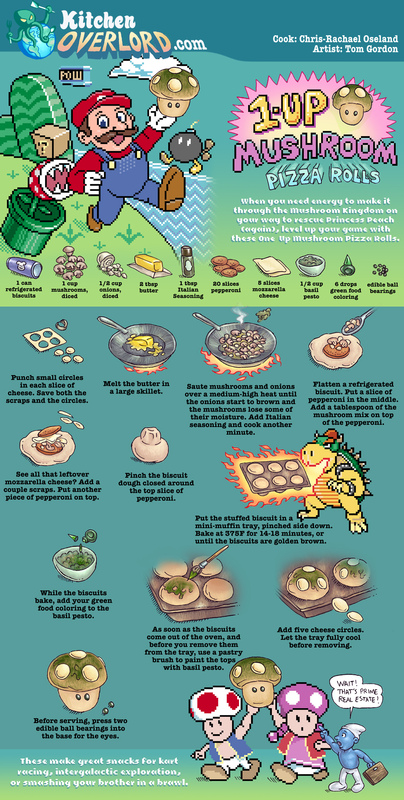 When you need energy to make it through the mushroom kingdom on you way to rescue Princess Peach (again), level up your game with these One-Up Mushroom Pizza Rolls. Punch small circles in each slice of cheese. Save both the scraps and the circles. 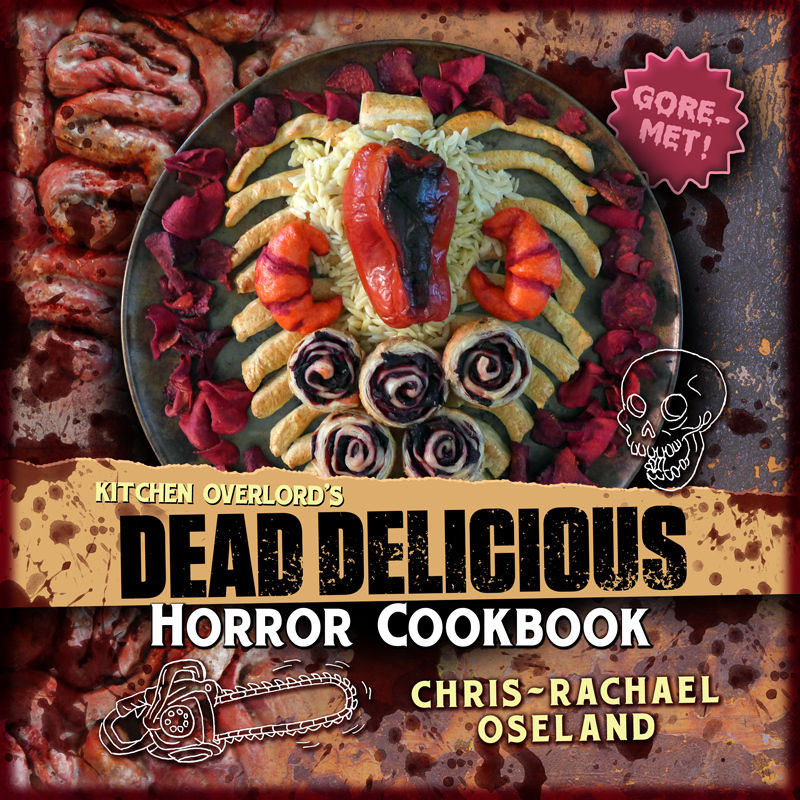 Melt the butter in a large skillet. Saute the mushrooms and onions over a medium-high heat until the onions start to brown and the mushrooms lose some of their moisture. Add the Italian seasoning and cook for another minute. Put a slice of pepperoni in the middle. Add a tablespoon of the mushroom mix on top of the pepperoni. See all that leftover mozzarella cheese? Add a couple scraps. Put another piece of pepperoni on top. Pinch the biscuit dough closed around the top slice of pepperoni. Put the stuffed biscuit in a mini-muffin tray, pinched side down. Bake at 375F for 14-18 minutes, or until the biscuits are golden brown. While the biscuits bake, add your green food coloring to the basil pesto. As soon as the biscuits come out of the oven, and before you remove them from the tray, use a pastry brush to paint the tops with basil pesto. Let the tray fully cool before removing. Before serving, press two edible ball bearings into the base for the eyes. These make great snacks for kart racing, intergalactic exploration, or smashing your brother in a brawl. 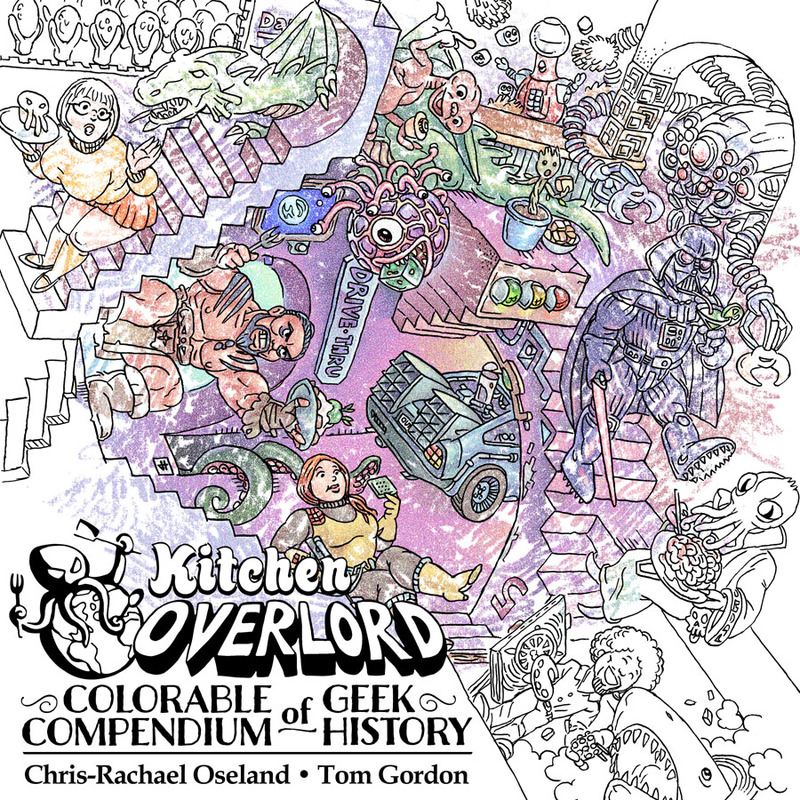 For those of you who love our Illustrated Geek Cookbook, I’m excited to announce Tom Gordon and I are just published Kitchen Overlord’s Colorable Compendium of Geek History wherein you color your way through over 120 years nerdy years via 110 gorgeous pages. Get both by this weekend with Amazon Two Day Prime Shipping!